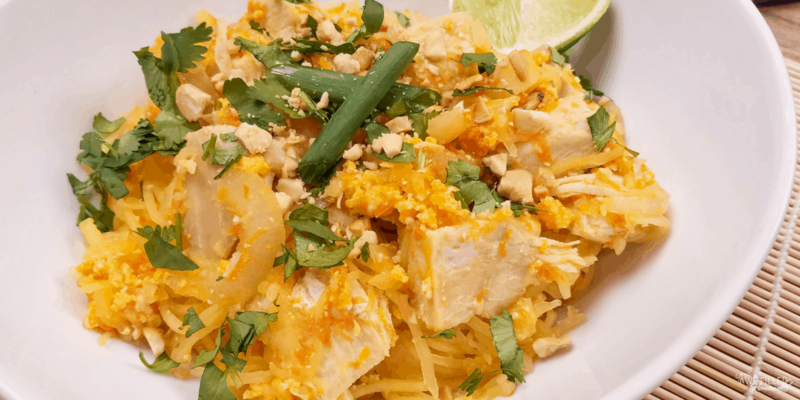 Pad thai is a stir-fried rice noodle dish that is popular around the globe. I put my creativity to the test by creating a healthier version of spaghetti with a twist. Instead of noodles, I used spaghetti squash. 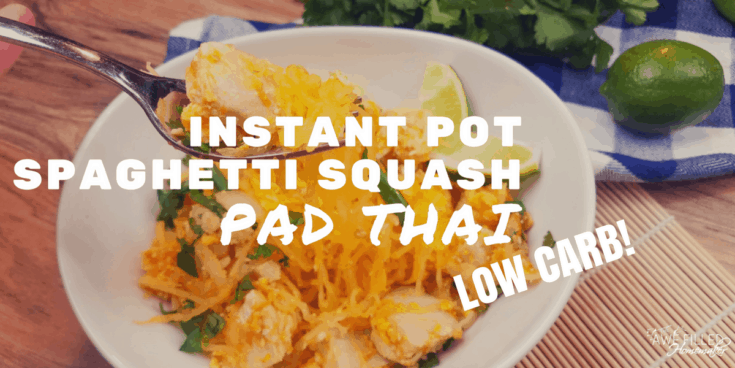 This spicy Instant Pot spaghetti squash pad thai is not only delicious but low carb and even gluten-free and dairy-free! Traditionally pad thai uses shrimp but I decided to go with chicken because that is a meat we use often in our home. Plus I found the chicken to pair well with the spaghetti squash. The Instant Pot makes this dish so quick and simple to whip up and the prep work is minimal. 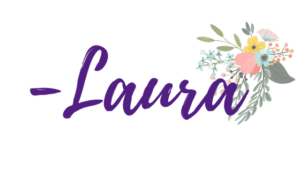 I seriously use our Instant Pot almost daily. 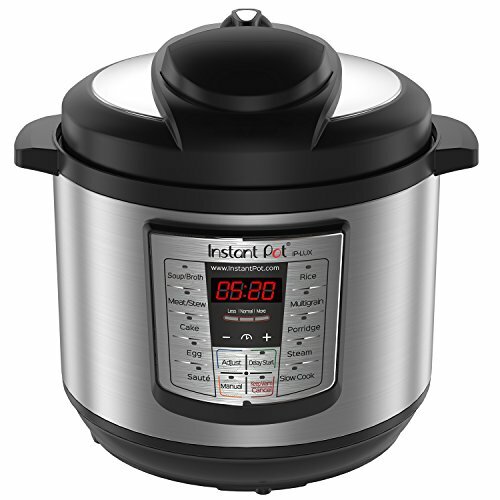 Check out my February Instant Pot Meal Plan. It truly makes my life so much easier when I spend minimal time cooking meals because the Instant Pot cuts down the cook time drastically for pretty much any dish. 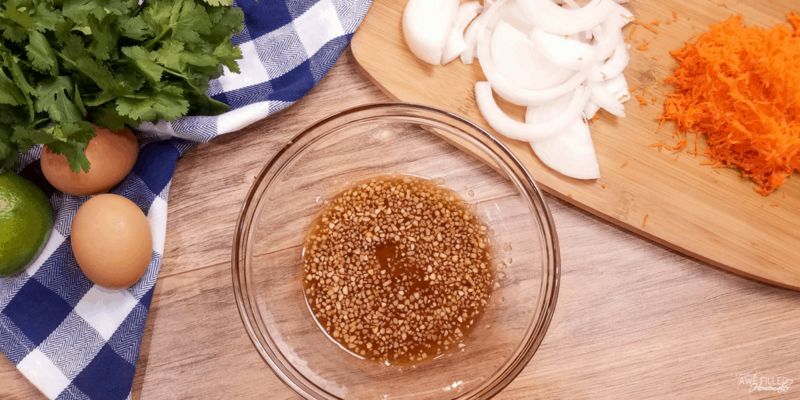 This simple dish is something your whole family might enjoy. 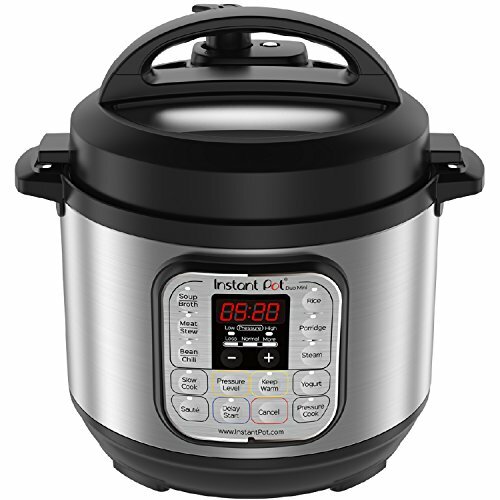 If you don’t have an instant pot, click below and get one ordered! I love ordering off Amazon Prime! 1) Add 2 cups water and a trivet to the Instant Pot insert. 2) Using a knife, cut a dozen venting slits into the spaghetti squash. Place the spaghetti squash on the trivet and arrange the chicken around the spaghetti squash. 3) Close the lid and turn the pressure valve to sealing. Cook on high pressure using manual for 15 minutes. Let the pressure release naturally. 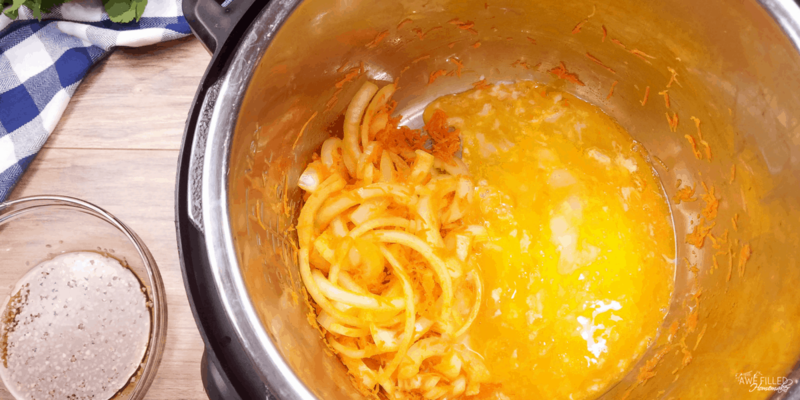 4) Remove the spaghetti squash and chicken from the Instant Pot using a trivet. 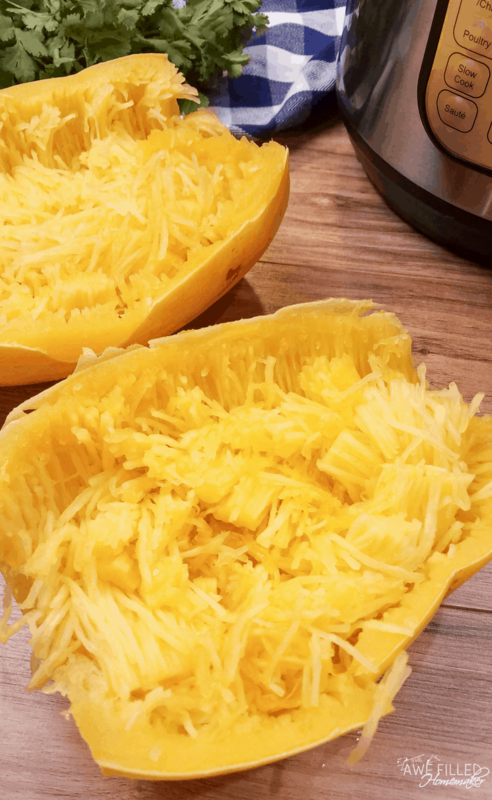 Place the spaghetti squash on a large plate or cutting board and cut it in half while it is still hot. I was able to slice my knife right through the squash. Chop the chicken into bite sized cubes. 5) While the spaghetti squash is cooling, rinse out the Instant Pot liner and turn the Instant Pot back on to sauté. Add the oil and sauté the onions and carrots for 2-3 minutes. 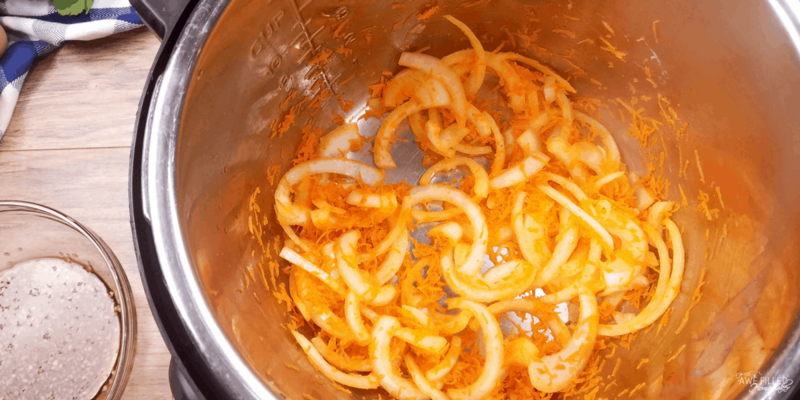 Push the onions and carrots to the side and crack the eggs on the empty side of the Instant Pot. 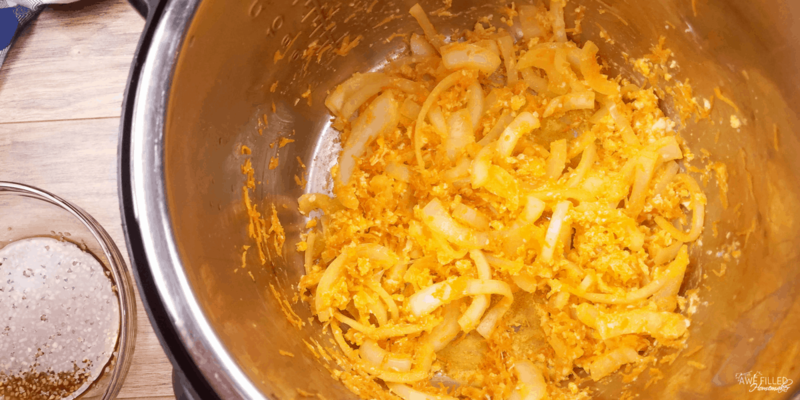 Scramble the eggs and then mix them together with the onions and carrots. 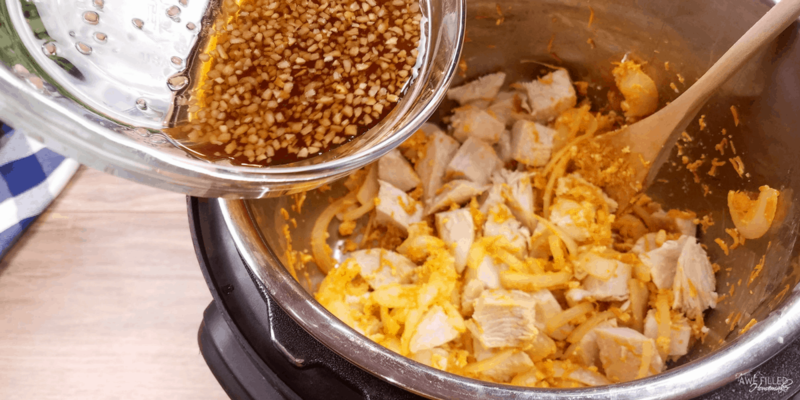 Turn the Instant Pot to keep warm then add the chicken back into the Instant Pot. 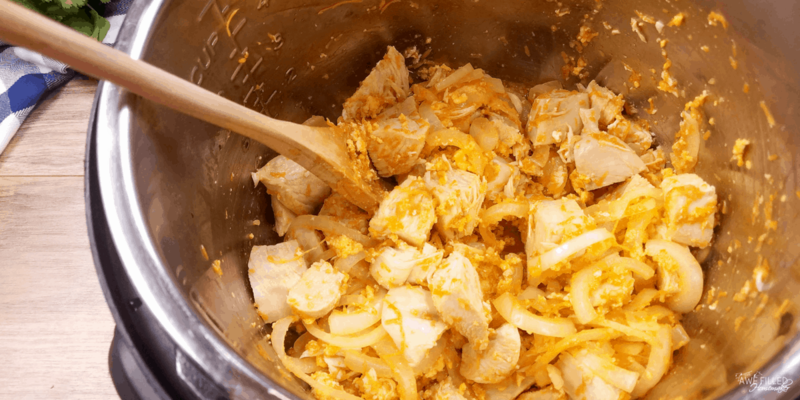 6) Mix together the sauce ingredients in a small bowl until the honey is dissolved then pour it over the chicken and onions in the Instant Pot. Give it a good stir and then let it sit while you shred the spaghetti squash to absorb some of the flavor. 7) Add the spaghetti squash noodles to the Instant Pot and mix it up. Serve while still warm topped with cilantro, lime, and crushed peanuts. Note: My store only had huge spagetti sqaush, but it fit in the Instant Pot after I trimmed the edges. 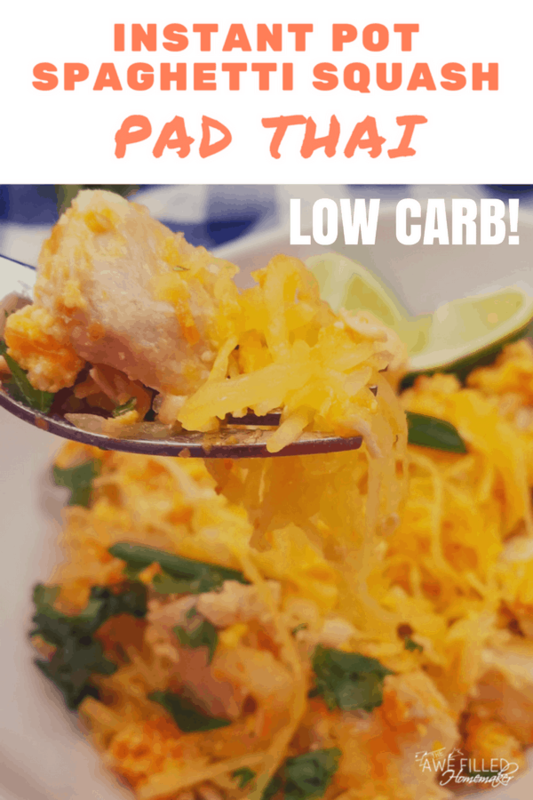 This spicy Instant Pot spaghetti squash pad thai is not only delicious but low carb and even gluten-free and dairy-free! Add 2 cups water and a trivet to the Instant Pot insert. Using a knife cut a dozen venting slits into the spaghetti squash. 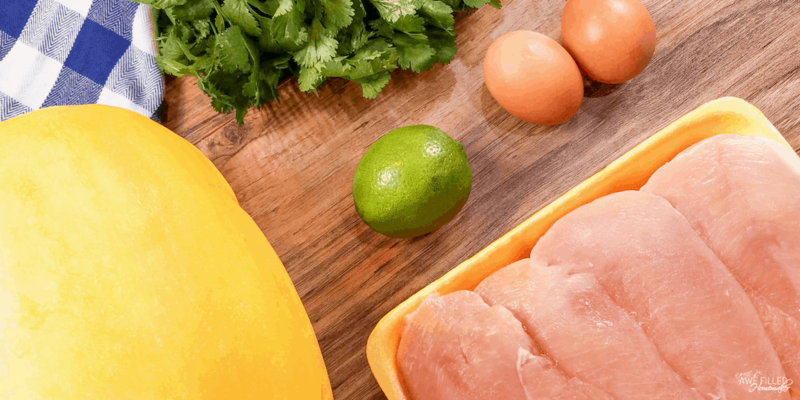 Place the spaghetti squash on the trivet and arrange the chicken around the spaghetti squash. Close the lid and turn the pressure valve to sealing. Cook on high pressure using manual for 15 minutes. Let the pressure release naturally. 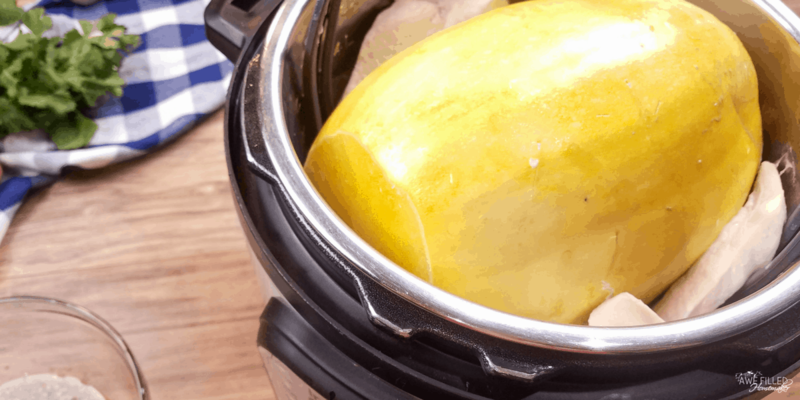 Remove the spaghetti squash and chicken from the Instant Pot using a trivet. 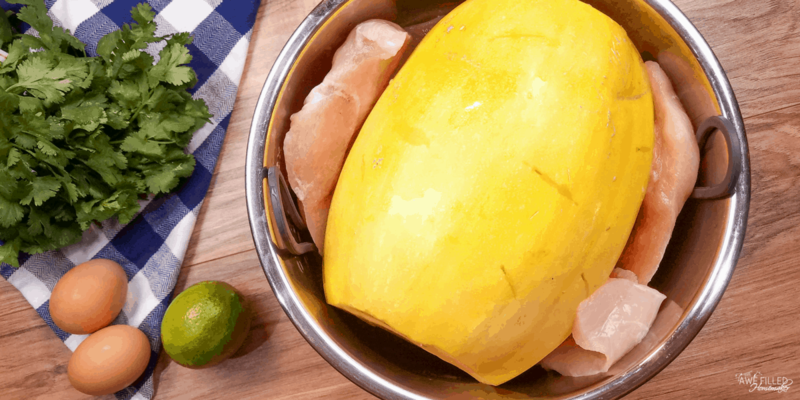 Place the spaghetti squash on a large plate or cutting board and cut it in half while it is still hot. I was able to slice my knife right through the squash. 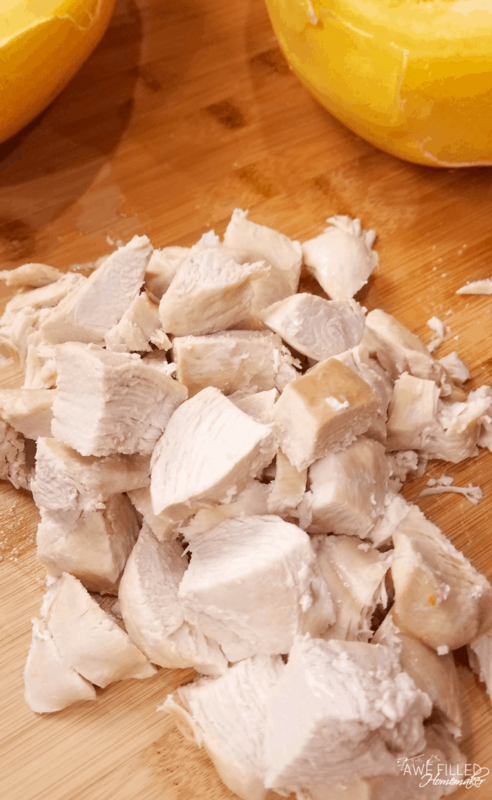 Chop the chicken into bite sized cubes. While the spaghetti squash is cooling rinse out the Instant Pot liner and turn the Instant Pot back on to sauté. Add the oil and sauté the onions and carrots for 2-3 minutes. Push the onions and carrots to the side and crack the eggs on the empty side of the Instant Pot. Scramble the eggs and then mix them together with the onions and carrots. 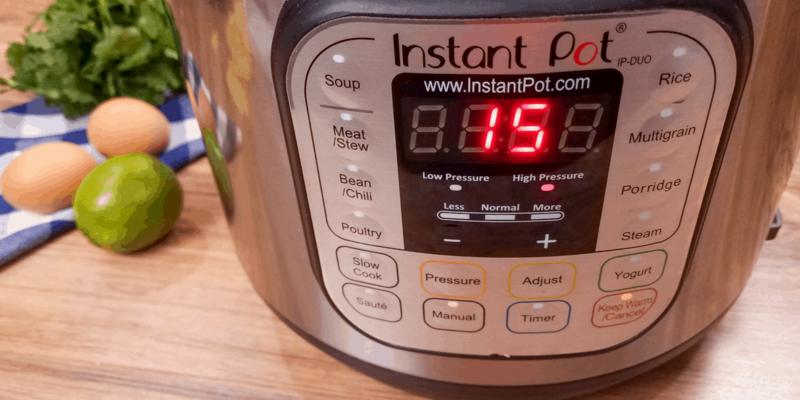 Turn the Instant Pot to keep warm then add the chicken back into the Instant Pot. 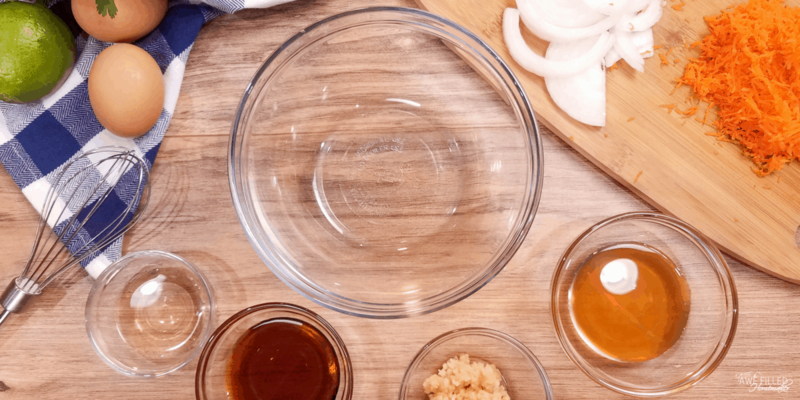 Mix together the sauce ingredients in a small bowl until the honey is dissolved then pour it over the chicken and onions in the Instant Pot. Give it a good stir and then let it sit while you shred the spaghetti squash to absorb some of the flavor. Add the spaghetti squash noodles to the Instant Pot and mix it up. 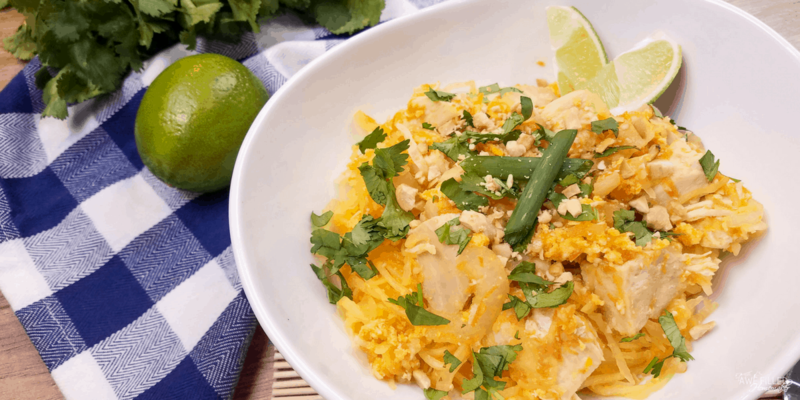 Serve while still warm topped with cilantro, lime, and crushed peanuts. My store only had huge spaghetti squash, but it fit in the Instant Pot after I trimmed the edges some. 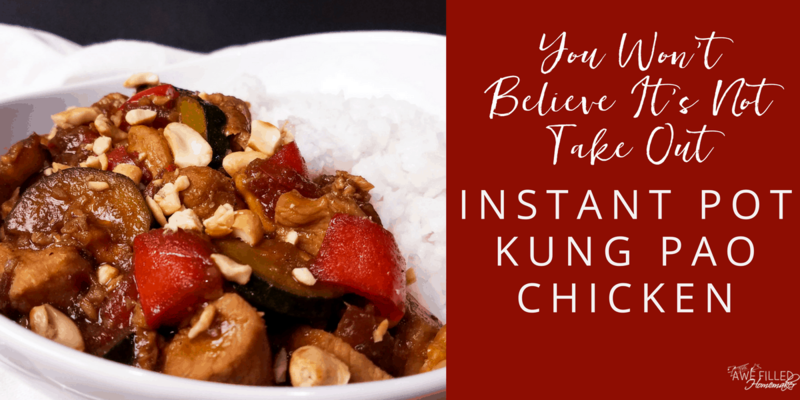 You may also enjoy my Kung Pao Chicken! Click here to view the recipe.